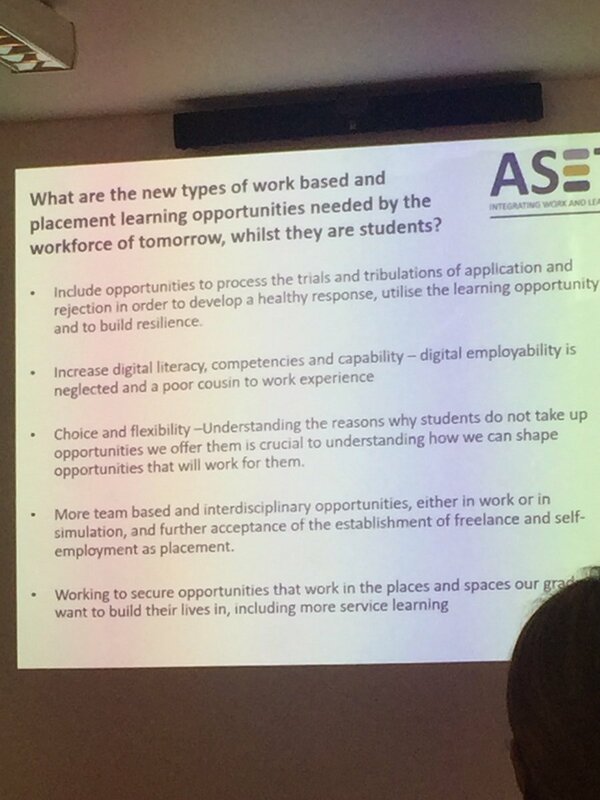 ASET is keen to support and encourage research into Work Based and Placement Learning. With this in mind, the ASET Research Bursary was launched in 2011, in 2013 this was complemented by the launch of the ASET Exploration and Enhancement Bursary, which in 2017 was relaunched as the ASET Summer Project Bursary. Both bursaries have supported and promoted the sharing of innovative practice in placement and work based learning through a short placement project for research into the field of Work-Based and Placement Learning. The research is undertaken over the summer months and presented, by the student, at the ASET Annual Conference in September. Read about past award winners and their projects. The bursaries are targeted to encourage a broad range of research and have distinct aims. ASET will provide payments totalling £2400 to fund a current student or recent graduate to carry out a clearly defined piece of small-scale research (of approximately 300hrs / 40 days) designed to grow the body of research into work based and placement learning. The work must be feasible within the timescales but may be used to fund a feasibility study, or early part of a larger project. ASET will provide a further £600 to your institution towards the expenses required to carry out the work. ASET will provide payments totalling £2400 to a current undergraduate to carry out a project (of approximately 300hrs / 40 days) examining an aspect of your institutional practice, or exploration of a new initiative with the goal of sharing the learning with the ASET community. ASET will provide a further £600 to your institution towards the expenses required to carry out the work. To be eligible to apply for either bursary, your institution must be a member of ASET. Details of the application process are listed on the 2019 ASET Bursary Application form. To find out more about the projects previously funded visit Awards & Bursaries. ASET periodically supports research bursaries, which are awarded to members making successful bids for funding to investigate an aspect of their practice. For further details of this join ASET and sign up to our e-Bulletin, or contact the ASET office directly on 0114 234 5197 or by emailing aset@asetonline.org. In addition to the research bursaries, ASET can offer opportunities for support through discussion at the annual Practice and Research Network meeting or in a session at the annual conference. Practice and Research Network members are also available at other times and at a distance via email, telephone or Skype. If you have a proposal which falls outside of the research bursary requirements, please contact ASET for information on how to present your suggestion. Proposals will eventually need to be formally presented and, where applicable, costed, for assessment by the Executive Committee, although we also welcome initial informal discourse.